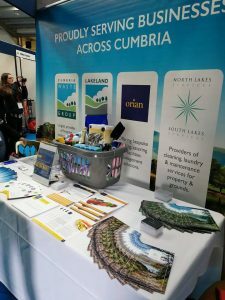 Over the last few weeks, various Cumbria Waste representatives have attended both the North West Business Show and Lakes Hospitality Show. Both events were held at J36 Rural Auction Centre, Crooklands. Alongside Cumbria Waste were colleagues from our sister companies Orian Solutions and South Lakes Services. 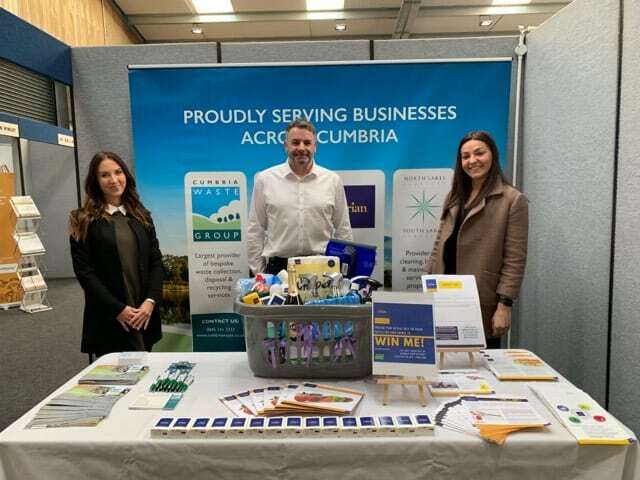 Mark Wilson, Area Sales Manager for Cumbria Waste said “The tradeshows are a great opportunity for networking, meeting potential new clients and catching up with familiar faces. As a waste company we find these types of events are invaluable to the business as it gives us an opportunity to showcase our full service offering. Both events were held over two days with businesses from all over the county in attendance. 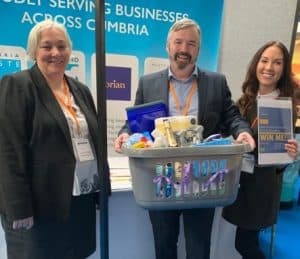 As well as offering brochures, advice and freebies, Orian Solutions also organised a cleaning themed prize draw for attendees to enter to in to. The products on offer were donated by their supplier Bunzel. The lucky winner was announced on the last day of the tradeshow and their prize was delivered shortly after. As a group, we’d like to thank those who stopped by to chat to us and we’re looking forward to future networking events.